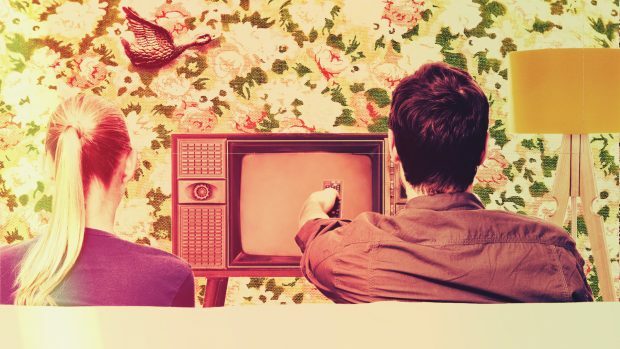 It’s been a staple of the British TV diet for decades, with generations of families making a regular date on weekend evenings to gather on the sofa in time for their favourite show. And while most viewers pay only fleeting attention to the collection of fictional companies which feature (some more than others) in the dozens of popular British sitcoms, devoted fans remember much more than just the characters. Here’s a list of businesses made famous by TV and, interestingly, also listed on the Companies House register. Fans of the cult show featuring a certain Norwich-based TV personality will remember one particularly cringeworthy episode. With bankruptcy looming, Alan sacks all his staff at Pear Tree Productions in typically narcissistic fashion. A disastrous meeting with a TV executive, and a failure to secure himself a second chat show series, spelled the end for the fictional production company - although, not before Alan secured a slightly bizarre Valentine’s Day date with one former employee, Jill. The long-running series about a father and son’s rag-and-bone business was arguably one of the most popular sitcoms ever on British TV. Albert and his son Harold’s incessant bickering proved a hit with British TV audiences, and even led to two big screen productions during the show’s 1970s heyday. In 2000, the film was ranked at 44 in the top 100 Greatest British Television Programmes by the British Film Institute. Fresh from redundancy as a regional manager at a large paper merchant, and with a large settlement cheque in his pocket, David Brent wasted no time in launching his dream career as a musician - setting up his own record label, Juxtaposition Records, in the process. Predictably, his first single flopped. But, that didn’t stop him, quite inappropriately, showing up to visit his ex-colleagues on a regular basis. The favourite haunt of many a German officer, Cafe Rene is the central location for the hit series ‘Allo ‘Allo, which featured the late Gorden Kaye as bumbling proprietor René during the Second World War in occupied France. Fans of the show will remember fondly Rene’s attempts to keep his illicit affairs with employees Yvette and Mimi from his wife Edith - while doing his best to aid the efforts of French Resistance member Michelle, with whom he was also romantically involved. The owner of a gargantuan intergalactic mining spacecraft and a division of the SpaceCorps, the Jupiter Mining Corporation, or ‘JMC’ as it was known, spawned a proliferation of t-shirts, badges, mugs and every other kind of fan accessory. Tasked with mining operations across the solar system and beyond, JMC employees included the unmistakable Cat, Lister and Rimmer. Certain rules apply when you choose your company name. These rules differ for sole traders and business partnerships. Your business name can’t be the same as another registered company’s name and must not be the same as an existing trademark. It also can’t be offensive, or contain a ‘sensitive’ word or expression, or suggest a connection with government or local authorities, unless you get permission.